After big business deals, mergers and acquisitions, I always wonder what the folk involved will do next. I was left with this question when Beam Global purchased Ireland’s only Independent Distillery (at the time), Cooley, in 2011, in a huge deal. What would happen to the Teeling family? Surely the urge to make and sell whiskey doesn’t leave you? I mean, can you imagine, after doing something as fun as being in the whiskey business, that you would become an insurance salesman or something else equally awful? 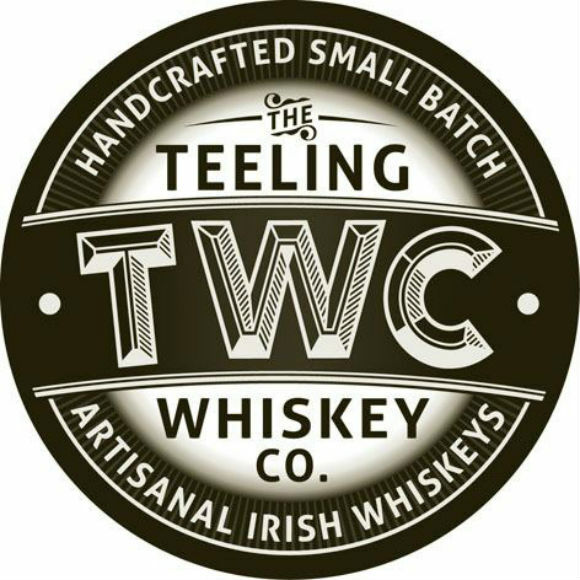 They have history of working in whisky that goes back to Walter Teeling founding a distillery on Marrowbone Lane, Dublin in 1782. Fast forward to John Teeling founding Cooley in 1987. 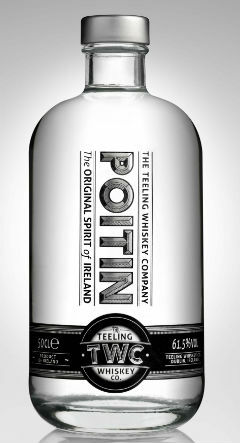 Poitin comes from the Irish word “pota” which refers to the pot still. Poitin is the same as new make or clearic in Scotland. In the past it would have been made using potatos or grain. Nose: Well, it’s high quality new spirit, so barley sugar, malty notes, green apples, orange and apricot notes. A nice biscuity note. It’s very well balanced. Takes me back to visiting many distilleries. Palate: Nice and malty, followed by a zesty fresh note and this almost saltiness that makes your mouth water. It’s got a fair kick to it, but in a good way. With water: Becomes floral and lemoney. Overall: I’m glad to see more Poitin/new spirit on the market, as I really think it should be used in more cocktails. It is very high quality and tasty. Although I enjoy it on it’s own, for me its real potential is in the cocktail business. Nose: Grapefruit, blackcurrant and black cherry. Hint of orangeness and a slight grainy note. Slight rum notes coming through, like a nice golden cane rum. Palate: Light fruitiness, hint of pure pot still oiliness. Apricots, apple and rhubarb pie, hints of chocolate and raisins. At first taste, it felt very light, but giving it time to warm up and develop in the glass helped. Overall: I admit, it was quite light at the beginning, but it changes with a bit of warming. It was a bit like listening to a new album for the first time. You can hear elements of things you like, but it needs another few listens. I think this dram is going to grow on me. So, that’s two of the Teeling drams tasted. I am going to review their third offering in a separate post, as I think it is genuinely very exciting. The Hybrid deserves a whole post to itself. Stay tuned. This entry was posted	on Monday, March 18th, 2013 at 2:22 pm	and is filed under Reviews. You can follow any responses to this entry through the RSS 2.0 feed. Responses are currently closed, but you can trackback from your own site.